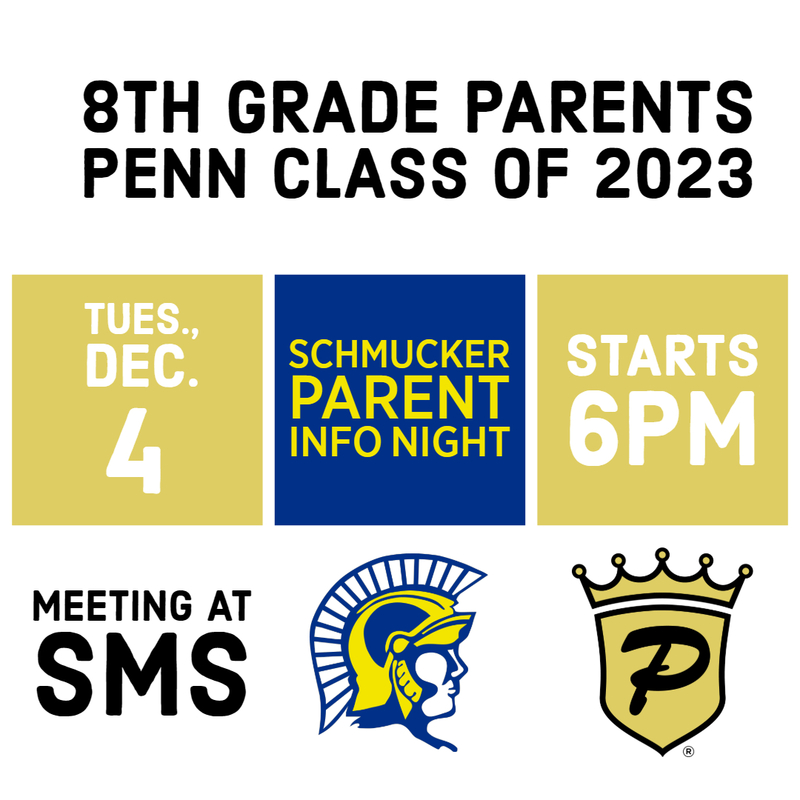 Penn High School Counselors will be coming to Schmucker on Tuesday, Dec. 4, 6:00 p.m., for an 8th grade Parent Info Night explaining the course selection and scheduling process for this year’s current Spartan 8th graders, next year’s incoming Penn Freshmen Class, and future Class of 2023! At the upcoming Parent Info Night, Penn Counselors will cover how students and parents should fill out the Pink Course Selection Sheets and the deadline of when the sheets will be due back to the students’ Schmucker Counselors. Penn’s Counseling Center staff will also be available to answer any questions parents may have.